We created Guild Wars 2 to bring players together, and over the years we’ve heard so many incredible stories of in-game encounters evolving into real-life connections. This February, we want to hear your story. Have you met amazing friends while playing Guild Wars 2? Do you and your significant other have each other’s backs as you adventure together in Tyria? Let them—and the whole world—know how much they mean to you! Tell us about the time your best friend took over Divinity’s Reach with an impromptu dance party, or your partner swooped in for a heroic rescue when you were pinned down by a rival server’s forces. Have you ever met up to party in real life? Write about it in a text post, make a video, compose an epic ballad—it’s up to you! 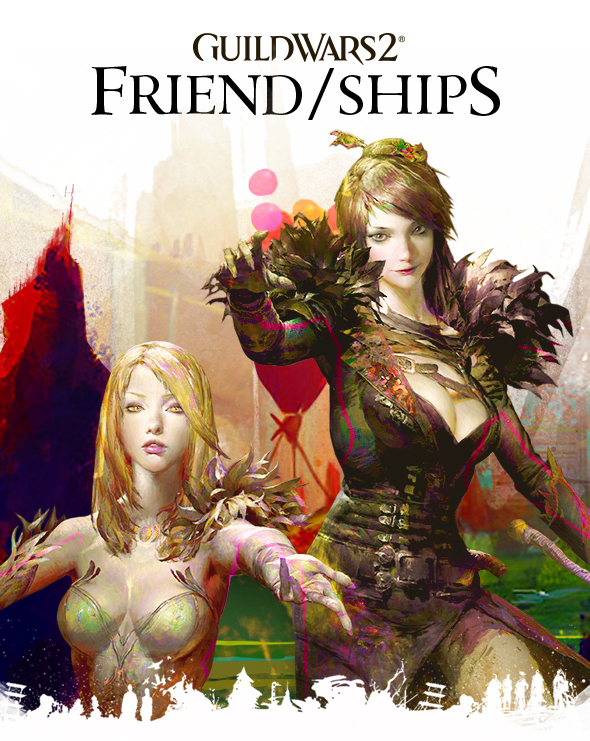 Tag your post with #GW2FriendShips on YouTube, Twitter, Instagram, Tumblr, or Facebook. If you’re using Facebook, please share your story as a new post on our official Facebook page, and not as a reply to any of our posts. We don’t want to miss it! Later this month, we’ll collect and share your stories on the official Guild Wars 2 website. 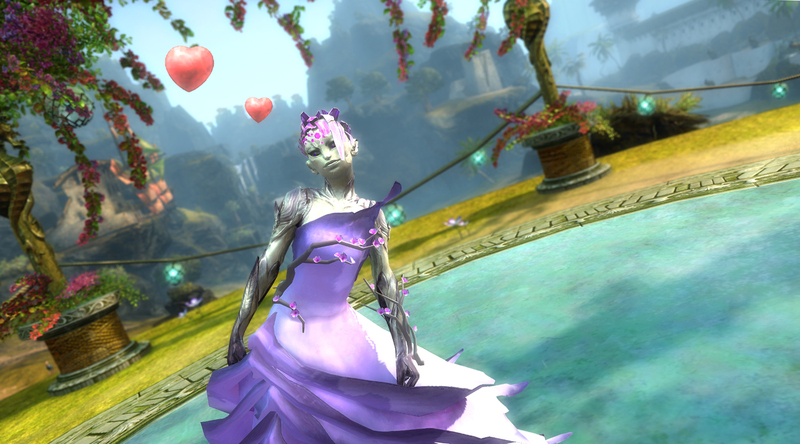 Add the hashtag #GW2Giveaway as well, and your qualifying post will be entered in our sweepstakes. You could win great prizes, including a discount code for For Fans By Fans merchandise, a commissioned portrait of two in-game characters by one of our Creative Partners, or even a trip for two to the ArenaNet studio in Bellevue, Washington, during PAX West 2018! Stay tuned—soon we’ll be adding an in-game achievement and a special item you can use to show everyone how friendly you are!